Thespians from the Mountain Lake Public High School (MLHS) Drama Department are prepping for the Sub-Section 5 One-Act Play Contest to be held Saturday, January 26, at Jackson County Central (JCC). The MLHS play will be the third of seven on the day. Set-up time will be 11:40 a.m. to 11:50 p.m., with the presentation time 11:50 a.m. to 12:25 p.m. 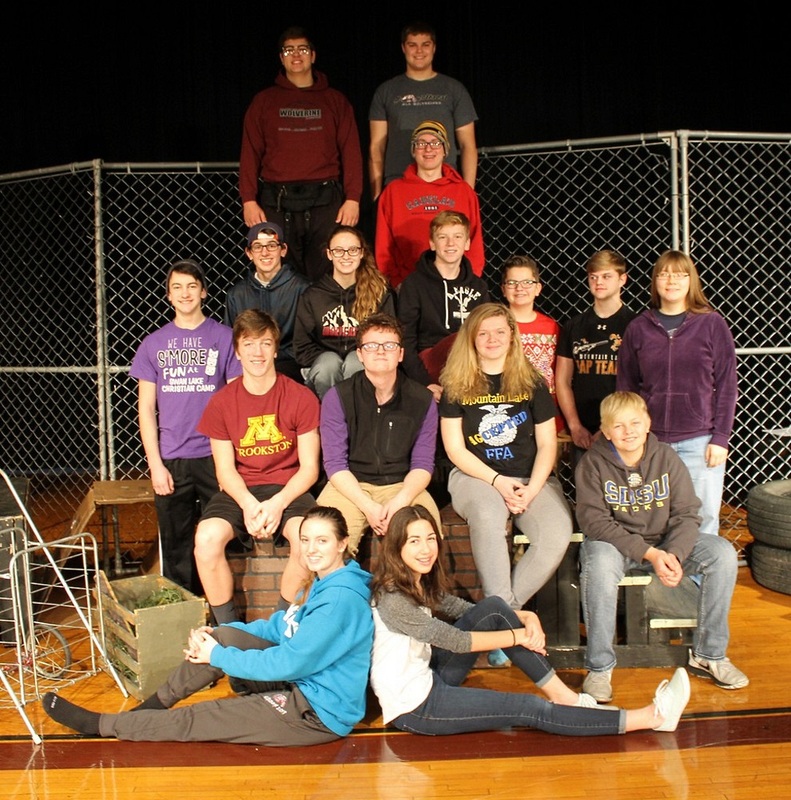 The one-act play from Butterfield-Odin Public High School (B-OHS) will begin the day at 9:50 a.m. The second play will be brought by St. James. Following the MLHS production will be Martin County West (MCW), JCC, Sleepy Eye Public and Springfield. The awards ceremony will be held at approximately 4:50/5 p.m. In addition to MLHS and JCC, schools performing will include Martin County West, St. James, Butterfield-Odin, Springfield and Sleepy Eye Public. The first- and second-place plays advance to Section 2A on Saturday, February 3, in St. Peter. The winning show will share its production in the Minnesota State High School League’s Class A One-Act Play Festival on Friday, February 9, onstage at The O’Shaughnessy at St. Catherine University in St. Paul. (Class AA schools perform on Thursday, February 8). + Street People – Paton Buller, Cole Kleven, Mason Fast and Brody Kleven.